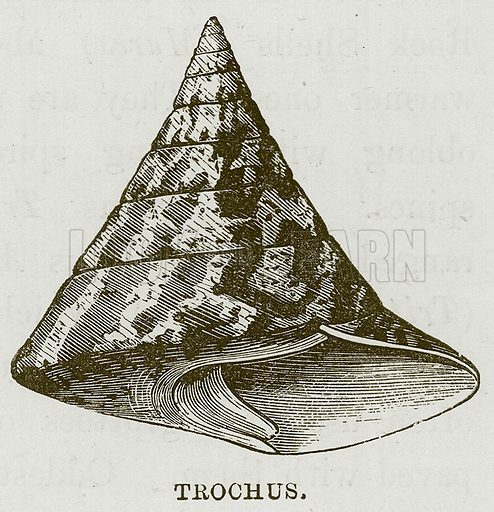 Trochus. Illustration for The Sea by F Whymper (Cassell, c 1890). Available worldwide for immediate download up to 3,929 x 4,073 pixels.